Culture secretary Jeremy Hunt has announced his plans to reboot local television services in the digital age, explaining that for them to survive they must adapt to the whims of today's technology. In a speech to the Royal Television Society in London, Hunt outlined his vision for local news, believing that investment is needed to "exploit the potential of new platform technologies such as YouView… to grow their service and improve their cost-effectiveness." He reiterated his point to BBC Four's Today programme, explaining: "There isn't a local television sector at all in the UK. We need to stimulate investment in new media services which give a proper voice to people which we are failing to do." One of the ways Hunt plans to do this is by relaxing restrictions of local news funding. "I am going to remove the restrictions of a local radio station investing in local TV or a local newspaper doing the same," he explained. "What we need to do in the age of the iPod and the iPad, when people are hopping about from the internet to radio to newspaper to TV is to provide media operators the opportunity to develop models which work in the digital age. At the moment, the rules do not allow that to happen." When quizzed about whether one person could potentially buy up all local news in the country, Hunt said that the competition commission would not allow this and that he has "not removed the restriction so that one person can come along and own local television throughout the whole country." Richard Halton, chief executive of YouView, is obviously very happy the on-demand set-top box service was name-checked in the speech. He said about Hunt's words: "I welcome Jeremy Hunt's recognition of the potential role that YouView can play in helping to enable a new generation of truly local television services in the UK. 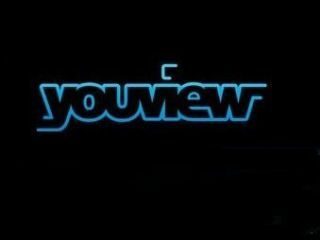 "YouView will breakdown many of the existing barriers to entry for local TV providers. "It will make it easier for viewers to discover and interact with localised content and open up the television set to all kinds of new content producers." According to ERT Online, this hasn't stopped advertisers' trade body ISBA asking Ofcom to investigate YouView as being a "quasi-monopoly", however - a complaint which is added to a long list which includes reservations from Virgin and Sky.